Chapter 2: But I'm Afraid! Chapter 3: What is Communication? Chapter 4: Listen to Me! 1. The Guy Fawkes Plot: On November 4, 1605 a plot to blow up the Parliament building, with Parliament and the King in it, was discovered when officers found Guy Fawkes in the Parliament's basement. Hidden in the cellar behind wood and coal were barrels of gun powder and iron bars. Fawkes was also found in the basement with fuses and a watch. It turns out that Fawkes was part of a small group that disagreed with King James' intolerance towards Roman Catholics, and this group planned to blow up the King and the government in response. Under torture, Fawkes confessed the names of the other conspirators, they were hung, and the King and government survived to see more trouble down the road. 2. 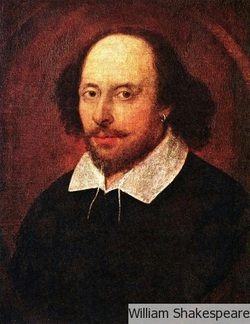 The King's Men: During Queen Elizabeth's reign, Shakespeare's company of actors were called Lord Chamberlain's Men. These companies were often financially supported by a rich benefactor, and in return they would dedicate their works to this person. Two months after Elizabeth's death, the Lord Chamberlain's Men experienced a change in their legal status when they were formally declared to be The King's Men. James had declared himself to be their benefactor. Many literary historians believe that the plot of Macbeth is a sign of gratitude to the King. Macbeth is based on a story from Scottish history, and King James could trace his ancestry back to the line of Banquo. This plot would be particularly pleasing to King James because it would help to establish him as the Divine ruler of England and Scotland. The tale of Macbeth, a Scottish Thane murdering the rightful King, usurping the throne, and then falling while defending it stems from a historical source documenting the history of Scotland. Shakespeare drew the plot from Chronicles of England, Scotland, and Ireland by Raphael Holinshed, which was published in 1587. 1. The Innocence of Banquo: In the historical text, Banquo is an accomplice in the Murder of King Duncan; but in Shakespeare's version, Banquo is innocent, loyal to the King, and must be killed to protect Macbeth's throne. In the play, Shakespeare makes it very clear that Banquo is an honorable thane and worthy of the honor of fathering a line of Kings. This change would obviously compliment King James, being that he is a decedent of the historical Banquo. 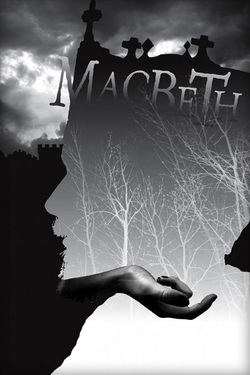 In the play, Macbeth's only accomplice is his wife, and both of them get what they deserve. 2. Macbeth's isolation and Evil: In the historical text, King Duncan is portrayed as a week, young, and feeble ruler; and after Macbeth kills him, Macbeth successfully rules for ten years. In order to portray Macbeth as evil, Shakespeare writes Duncan as a virtuous and mature King that Macbeth cannot find fault with. He also portrays Macbeth as a tyrant ruler of Scotland. Banquo and his lineage then become the saving element that will restore, order and peace to the country. 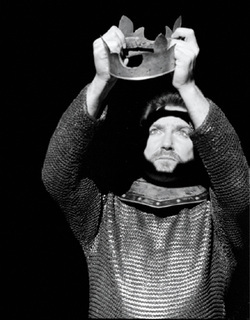 Macbeth seems to be catered to the quirks, political beliefs, and obsessions of King James I. 1. James' fear of Assassination: Being that both of James' parents had been killed, it is natural to understand James' fear of assassination. 2. Hatred of Regicide: James believed strongly in the divine right of kings. This idea claimed the King to be sacred as God's own representative on earth. Regicide, the killing of royalty (especially the crowned King), was then considered not only a sin against the government, but a sin against God. This meant that this act would not just disrupt an individual or a community, but it would throw the entire country into chaos because of the disruption in the God ordained order of society. 3. Belief in Witchcraft: James had written a book on witchcraft, suspected that the devil was at the source of all assassination plots against an anointed King. He also believed that at various points in his life, witches has conspired against him. He feared the demonic forces that he saw as trying to drag himself and his country into ruin. - that causes his/her downfall. - and creates a catharsis (an emotional release or purging) for the audience. Definition: a Dramatic Convention that allows a character alone on stage to speak his or her thoughts aloud. 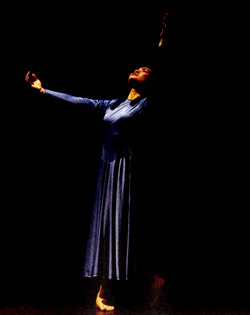 If someone else is on stage but cannot hear the character's words, the soliloquy becomes an aside. A soliloquy becomes an integral part of understanding the character's thoughts, motivations, and reactions. In prose, an omniscient narrator can tell us what a character is thinking or feeling; but on stage we must rely on our interpretation of what a character says. Because the soliloquy is basically a character talking to themselves, they have no reason to be dishonest. We can trust that what they are saying is truly how they feel. This is especially helpful when a character is purposely being deceptive. We then know when they are lying because we know their thought processes and motives. A soliloquy also helps to create dramatic irony. After a soliloquy or an aside, the audience knows something that the other characters don't. 1. Many stage productions of Macbeth omit Act I scene i. Is this scene necessary? How does it prepare us for important themes in the play? What is the effect of this scene's setting? What does the line "Fair is foul, and foul is fair" (line 10) mean? For questions 2-4, consider the classical definition of tragedy from Aristotle's Poetics: a drama about a noble hero with a tragic flaw that causes his/her downfall. The tragic hero's fate evokes pity and terror and creates a catharsis (an emotional release or purging) for the audience. 2. Describe Macbeth's character. Is he completely a villain? Does he have a conscience? What are his admirable qualities? What do the wounded captain's comments (I. ii.) reveal about Macbeth's character? What is his tragic flaw? Is Macbeth aware of his flaw? 3. A tragic hero should provoke our sympathy. Do you sympathize with Macbeth? Why or why not? Does his downfall evoke pity and terror? Does he fit Aristotle's definition of a tragic hero? 4. Compare Macbeth and Doctor Faustus as tragic heroes. What is Macbeth's attitude toward his ambition at the end of the play (see V. v. 19-28 and V. viii. 27-34)? How would you compare it to Faustus' attitude at the end of Doctor Faustus? 5. What are the forces that determine Macbeth ' s destiny? To what degree are the witches responsible for Macbeth's downfall? What roles do fate and free will play in Macbeth's destruction? 6. How could the witches be considered evil doppelgangers for Macbeth? Are they actual physical beings, or are they merely projections of Macbeth's own wicked thoughts? See Macbeth's initial reaction to the witches' greeting in I. iii. 51-57 and I. iii. 130-142. Why is Macbeth frightened by the witches' prophecies? 7. Visions and ghosts often symbolize some terrible truth about the hero's psyche. What do the following visions tell us about Macbeth ' s character? The bloody dagger ( II. i. 33 -64 ), Banquo ' sghost (III. iv. 38-127), the visions in the witches' cauldron ( IV. i. 50-1, 56 ). 8. Consider the use of the dream/sleep motif in Macbeth. Bad dreams and disturbed sleep often represent psycho1ogical turmoil. What examples of disturbed sleep do you find throughout the play? What do Lady Macbeth's dreams in the famous sleepwalking scene (V. i.) reveal about her character? 9. Blood is mentioned over 100 times in Macbeth. What are the most significant references to blood in the play? As a psychological symbol, what does blood represent for Macbeth and Lady Macbeth? 10. How are storms, omens, and prophecies used as psychological symbols in the play? 11. What is the purpose of the Porter scene (II. iii. 1-45)? Does it seem out of place in the play? How does this comic scene reflect the play's darker themes? 12. See Lady Macbeth's famous invocation to the spirits (I. v. 39-55.). Describe Lady Macbeth's character. What is she like at the beginning of the play? Does she show any evidence of tenderness? Discuss the reversal of gender roles between Macbeth and Lady Macbeth. How would you compare the two characters? How does Lady Macbeth change in the play's second half? Discuss Lady Macbeth as Macbeth's doppelganger. 13. Discuss the following characters as doubles of Macbeth: Duncan, Malcolm, Banquo, the Thane of Cawdor, and the King of England. How would you compare each character to Macbeth? If we interpret these characters as reflections of various facets of Macbeth's personality, what facet would each character represent? 14. Discuss the definitions of "manhood" proposed by characters throughout the play. Contrast Malcolm's and Macduff's views of manhood (see IV. iii. 213-235). Does Malcolm's view of manhood seem to contradict his earlier description of himself (see IV. iii. 125-132)? What is Lady Macbeth's definition of manhood (see I. vii. 35-59)? How does Macbeth espouse this definition in his conversation with Banquo's murderers (see III. i. 75-142)? Does Macbeth find this definition of manhood viable by the end of the play? How has his "manly" behavior reduced him to the level of a beast?